How to Prevent Tooth Decay (Cavities)? How many times have you gone to see your dental care professionals thinking you were doing all you could to prevent tooth decay only to find out you have a new cavity? There are certain things you can do between visits in order to increase your dental health. 5. Rinsing your mouth daily with a fluoride mouth rinse. 6. Getting dental sealants placed in the grooves of your teeth. 9. Eating cheese at the end of a meal. It stimulates the production of cleansing saliva inside the mouth, and the calcium in cheese also hardens tooth enamel. 10.Drink lots of water daily. Certain medications dry the mouth, also water cleanses the mouth, washing away loose food debris. What is Tooth Decay (Cavities) ? Tooth decay or a cavity occurs to the surface of the tooth. 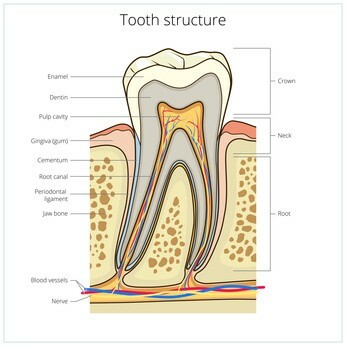 This may be your enamel, dentin or cementum (see below). When a sugar is in the mouth it makes the PH or acidity in your mouth become more dangerous. It then removes certain minerals from your tooth (demineralisation) therefore weakening the tooth and causing sensitivity and or cavities. Two of these cavity preventing ingredients are naturally found in our foods. Scientist have studied and found that they can help prevent tooth decay, strengthen tooth enamel as well as reversing cavities in the first stages of development. These ingredients are (1) Recaldent (casein phosphopeptide – amorphous calcium phosphate, or CPP-ACP) and (2) Xylitol. The Casein phosphopeptide that is in recaldent is a major milk protein that helps stabilize calcium, phosphate and fluoride ions. This means when we ingest recaldent it helps strengthen our enamel and has a lot of the same benefits as the fluoride treatment you receive from your dentist or hygienist. If you experience sensitivity or at risk for tooth decay we would suggest fluoride. Recaldent is a new ingredient that acts the same as fluoride but is derived from milk. This naturally derived milk protein helps replace certain minerals that are found in our enamel thus remineralizing the surface of the tooth. If used in toothpaste, it has been shown to stimulate the saliva to produce CPP-ACP. CPP-ACP are minerals found in our enamal, therefore replacing the lost minerals that create the decay and or sensitivity. Where can I find Recaldent? Xylitol is a sugar found in a lot of fruits, berries, fibres and trees. It was primarily used as an alternative sugar for people suffering from diabetes. With more advanced studies Xylitol was shown to have a significant benefit in the prevention of caries as well as preventing dry mouth (xerostomia) and helping with your overall health. Xylitol helps to stimulate saliva production due to its taste and its intense freshness which reacts with the brain. It helps with the prevention of decay because the bacteria in the mouth do not react the same way with this “sugar”. With sugars such as sucrose or fructose it would react by creating an acidic PH in the mouth, however it is not able to do this with xylitol which decreases the chance of causing a cavity. It also prevents decay by starving the bacteria in the mouth. Where can I find Xylitol? Xylitol can be found in pharmacies and certain natural health food stores as well as in certain dental clinics. It is found in the form of breath mints, in certain gum brands, and powder that you may add to recipes as a substitute to certain sweeteners. It is also found in certain berries, corn husks, oats, mushrooms, plums and corn. However it works best when it is used topically as with breath mints and gum.